1-6 members, 4 different acts that can customize their sound to meet your needs -- specialties include Louisiana Cajun and zydeco; bluegrass; Irish music; rock and folk-rock; country; reggae/ska; '80s 'new wave,' and a variety of pop standards from the 1950s, '60s, and '70s. Professional, easy to work with, lots of references, reasonable rates, will travel. We offer various lineups of musicians to suit your needs and budget. Solo, duo, or trio groups usually are accompanied by bass and drum 'tracks,' which allows the musicians to present a full (and danceable) sound while keeping volume -- and budget! -- under control. Andy solo can play a wide variety of pop, country, tropical, irish standards, and holiday music and jazzy standards. Add Sara on mandolin, and we can do all the above plus bluegrass and old-timey music. Fiddle also works very well with this combo. Our squeezebox player, Greg, is one of the best Cajun and zydeco musician in the Southeast US, giving us an authentic Louisiana sound. For a full band, add bass and drums. No matter the lineup, the musicians are professional, personable, and easy to get along with. We dress to fit the theme. We welcome requests and like to joke around and have fun with audience members. We love children, and often hold 'open mic' for kids. Andy solo -- I perform as a 'one man band' (guitar, harmonica, vocals, bass 'n' drum tracks) specializing in pop and country standards, island music, Irish, and folk-rock. 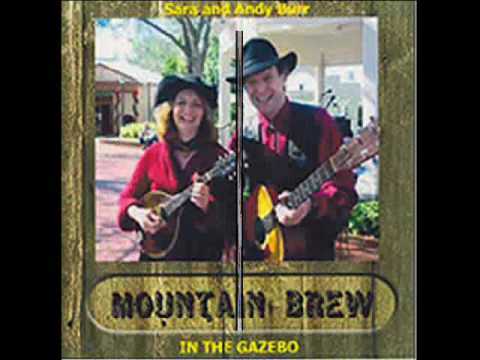 Mountain Brew -- me with my wife, Sara, on mandolin (with tracks), or as a trio (adding fiddle) or 4 or 5-pc adding 'live' bass and drums. We specialize in popular standards (mostly '50s-'80s), country, bluegrass, Irish, Cajun, and/or holiday favorites. 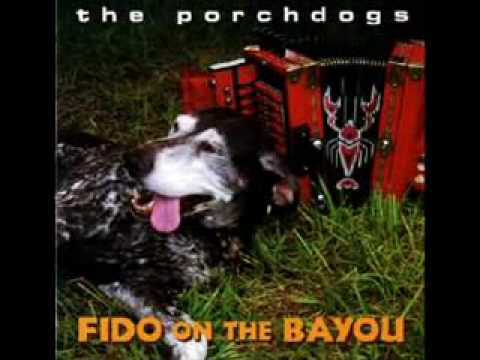 The Porchdogs -- a duo, trio, quartet or quintet specializing since 1992 in Cajun/zydeco and New Orleans music, plus a variety of southern rock and bluegrass standards. The Shades -- 4-5 members band specializing in 1980s post-punk, ska, and reggae. Among the four acts I average over 100 dates a year. References include: repeat performances Cypress Gardens, Silver Springs, Walt Disney World and Universal Studios, many nightclub, corporate and resort engagements; booked nearly every day the past 11 years during Bike Week and Biketoberfest at the Iron Horse Saloon in Ormond Beach; 16 days at South Florida Fair 2009; 12 days 5 of the past 8 years at the Florida State Fair in Tampa; many more references. We have several PA systems available. For most occasions a small but professional system is all that's required. I don't know about you, but I prefer not to have my ears blasted with loud music -- I like to be able to speak to people without having to shout. That's what we aim for in performance. I'd much rather be asked to 'turn it up' than to 'turn it down!' We have a very simple light system; all that needed for small to medium gatherings. It generally takes us under an hour to set up and be ready to play. Power requirements? Just a normal household electrical receptacle. Too many songs to list -- close to 400 songs to choose from. Tell me what you like and I'll put together a list of related songs. We've been doing this for over 20 years, but our influences come mostly from before then. Classic country and traditional rural music; pop, rock, blues, and reggae from the 1950s, 60s and '70s; jazzy standards and Christmas music from the '40s and '50s. We can play quite a bit of music from the '80s, '90s, and 00's, but it's not really our specialty. Some artists we especially like: Bob Dylan, The Band, Creedence, Patsy Cline, Van Morrison, Eric Clapton, Willie Nelson, Fats Domino, Charlie Daniels, JJ Cale, Neil Young, Jimmy Buffet, Bob Marley, Tom Petty, Grateful Dead, numerous Cajun and zydeco artists, and... the beat goes on. Depends on what you want. All we need is a place to stand.